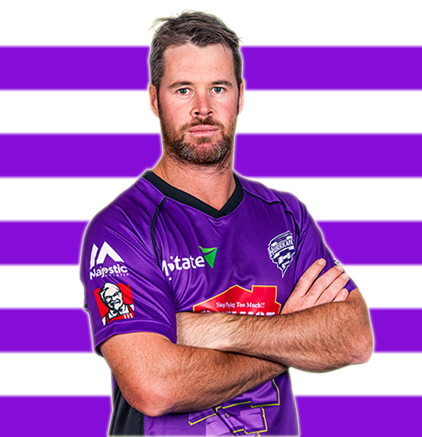 Kind of player who is good when there is pace and bounce int he wicket , where he can smack few sixes and bowl ok.
DCHL picked daniel christian for close to a million and they went bankrupt. GMR picked him and they are on the verge of bankruptcy. Australian Coaches like Ponting are the reason why mediocre Aussies somehow manage to get picked. Its shameless selection to be honest Ricky selecting his Australian friends and dropping Munro and Roy at least they contributed somewhat for the DD.Unfortunately with Delhi it happens all the time after first three years Greg Shiphard that Australian coach loaded useless Aussies like Wade Hopes and few others.Then Kirsten came in and filled the side with South Africans and let go of Warner when he did well.Ponting tried hard for Short Watson too but the two useless players Maxwell and Christian have contributed to the loss of the DD’s. Wow I totally forgot about Roy. They dropped him for this guy? Something seriously wrong with the management. I mentioned it earlier don’t think they’re there to win the tournament they make their money and just go off. How many all rounders do DD want in playing 11. Maxwell, Shankar, Christian in 11. Not enough specialists. To be honest losing Rabada was a massive blow plus Moriss was out of form that also affected DD and of course persisting with useless Aussies. I feel Morris was the big blow. Pace all rounder is what all franchisees look for due to lack of local genuine pace allrounders. Imo he was most important player but did not click. This team would have looked different with an inform pace all-rounder. Agree with you plus the lack of planning and direction as well cost Delhi.In fact every coach comes and experiments with the side.Dravid was experminenting game after game before that Kirsten who was not here to win the tournament.If you look at teams like Hyderabad and despite betting thing Csk or Mumbai they are professional outfits their goal is to win the tournament they always do planning but with Delhi the lack of planning and direction is quite visible. Roy had injured his shoulder. Roy was replaced by Munro. Roy had injured his shoulder. Roy was replac﻿ed by Munro. Is he fit now ? Yesterday he was fielding for a while.